We realize you have many choices when it comes to selecting which company you want to service or install your garage doors, openers and accessories. Take just a few minutes to discover why we believe Garage Door Services of North Carolina is your best choice. It is our firm conviction that you deserve exceptional service, fair and competitive pricing, superior quality products and the highest level of competent and compassionate workmanship. Our Mission: Because you don’t need double talk and/or smoke and mirrors when it comes to enhancing your homes beauty, security and functionality we provide an excellent experience. From the moment you contact us it is our pleasure to treat you with professional excellence and integrity. Further, it is our personal belief and conviction that being successful in carrying out this mission will provide us with the opportunity to give back. With strategic forethought Garage Door Services of North Carolina gives a portion of every dollar we earn to a host of community programs and missions in Mooresville, Huntersville & Winston Salem, NC. 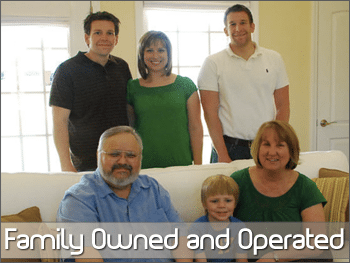 Our Ethic: Family and community are non-negotiable with Garage Door Services of North Carolina. We are not some large, impersonal or insensitive corporation—we are your neighbors. Because we are family owned and operated you can be assured that we care about you and your family. When we go home at night, we intend to rest with a clear conscience. Treating you and your family “right” and getting the job done “right” is at the core of our values. Thank you for honoring us with your trust and giving us the opportunity to serve you. The world we all share can be dog-eat-dog. Thus, we are committed to being a blessing to you and intend to be around to serve you for many years to come. But don't take it from us, read our testimonials page to learn more about our services in Mooresville, Huntersville & Winston Salem, NC!